New in the coming season: Travels of inspiration, along with the best new design books, and distant lands of mystery and dreams. Next week, Just Back from Burma! 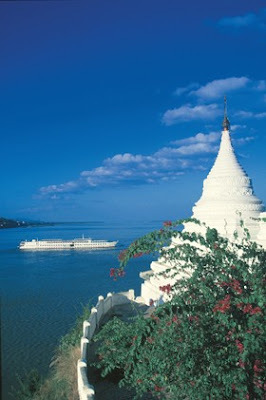 Pagodas and a dreamy river cruise. 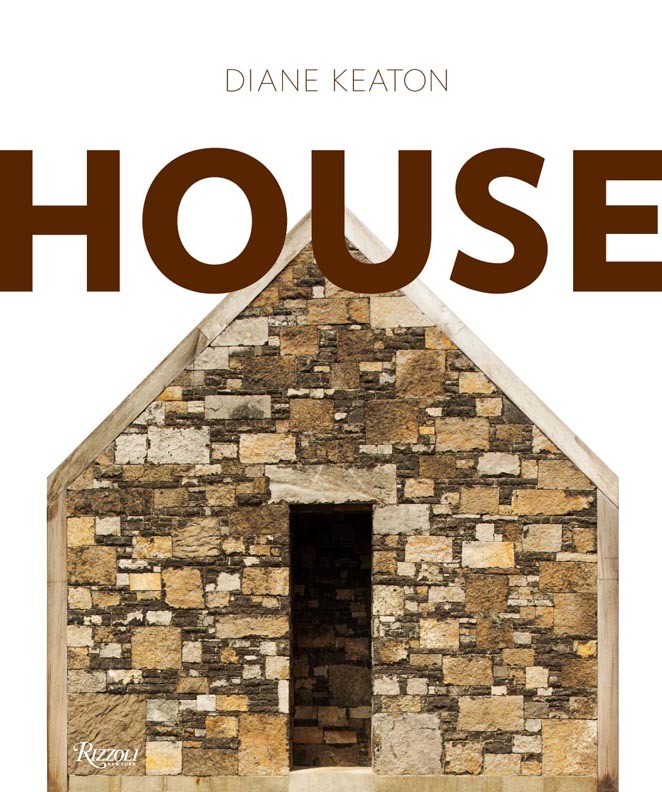 Plus coming up are my picks of the newest and most exciting Fall design and architecture books. A chic Paris apartment can become your favorite place on the Left Bank. 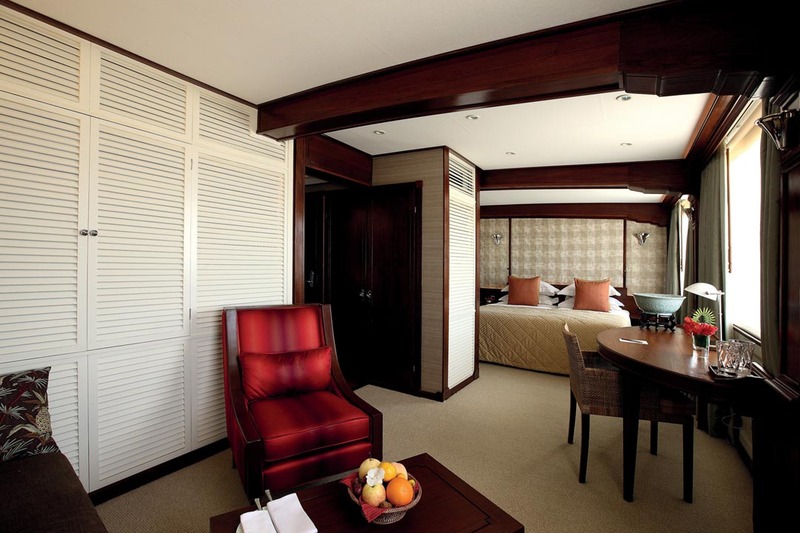 We will go chasing Napoleon on the wonderful new cruising yacht, Variety Voyager. 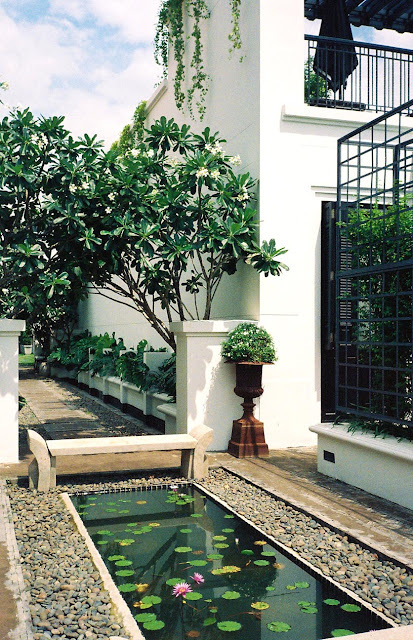 You can get a first look at the hot new haute hotel in Bangkok, The Siam, plus Daniel Hale, Andrew Skurman, and my new book, ANN GETTY INTERIOR STYLE. And more. See my newest snapshots below, and see what I have for you in the coming weeks. Delicious, divine, mysterious and inspiring. Follow me. Note that all photographs (except book covers) are copyright Diane Dorrans Saeks. I have very unexpected new stories and exclusive images for you coming up this fall. 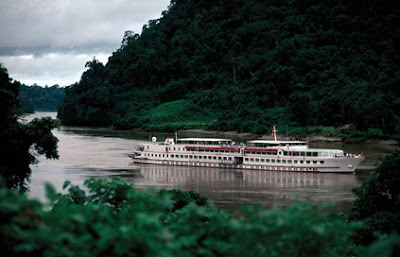 Next week you’ll read about my (just back) cruise up into the northern gorges of the Irrawaddy River in Burma (officially Myanmar). Burma—a wonderful country closed off to the world for half a century, and grotesque politics—and on my August exploration and private trip it turns out to be magical, and the people so lovely and have a delightful sense of wit and humor. Next week you’ll see remote villages never visited by western travelers…as well as George Orwell’s house and club from the twenties. He was a British police officer there before he became a writer. Read ‘Burmese Days’ and you will discover, as I did, that Khata, the town I visited on the banks of the Irrawaddy, is the setting for this powerful Orwell book. 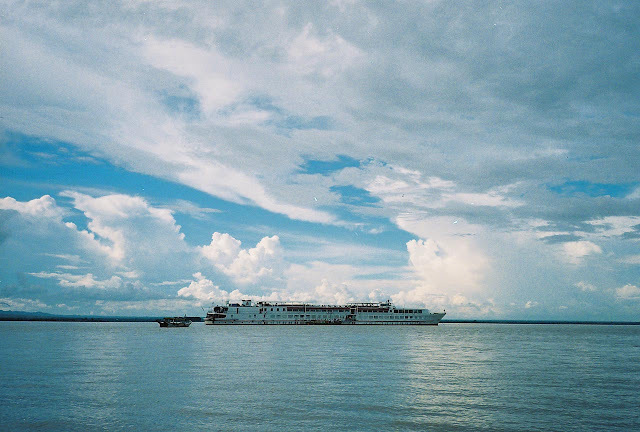 The Road to Mandalay cruise ship (operated by Orient Express since 1995) has many education and public health initiatives in Burma. Visiting village schools, so wonderful. The cruise line has many social causes in Myanmar—and I was fortunate as a guest to be able to see these first hand. There’s nothing like a group of nine-year-olds with new books and pens and pencils all writing and drawing to give a sense of promise for this innocent country. 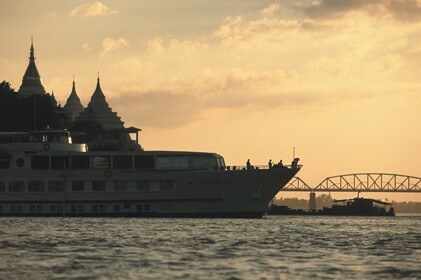 I was incredibly fortunate to take a great and rare cruise up the Irrawaddy River on the Road to Mandalay, a luxury cruiser operated by Orient Express, that takes the trip to the northern gorges just 4 times a year. Road to Mandalay: Come with me up the placid Irrawaddy River and the remote Northern Gorges, and the first and second defile. There is very little river traffic, a surprise. Few ferries and we did not encounter another passenger cruiser. Fishing boats, yes. Just returned from Burma:In August I took three weeks to explore Burma—and found a country that was pure discovery. The Road to Mandalay river cruise was majestic and heartfelt, soulful and moving. Truly. 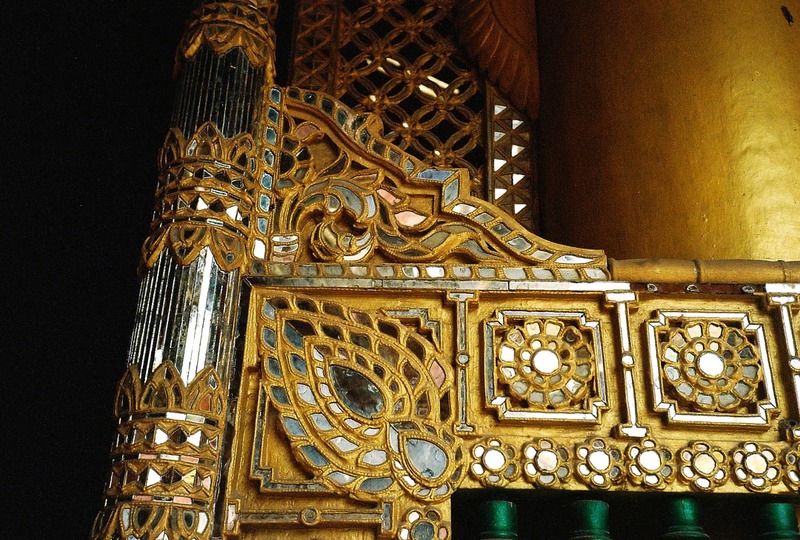 I stayed at the dreamy Governor’s Residence in Yangon. The surprise: I did my due diligence of reading every book, news item, report and insight. And then I set them aside to see and experienced modern-day Myanmar/Burma with fresh eyes, beginner’s mind. Historic Burma is such a beautiful country. I’ll leave political analysis to others. For me it was to discover architecture, crafts (brilliant lacquer and gold leaf and pottery), as well as encounters at nunneries and monasteries, village markets (not a westerner in sight) and Burma’s schools. I also had the great privilege of spending time with the Road to Mandalay’s handsome Burmese physician, Dr Hla Thun, as he conducted tests and comforted patients at his grass roots clinic in Bagan and in villages up and down the Irrawaddy. Dr Thun is a saint, devoted and a true Buddhist, and one of many reasons why I love Burma. Times are changing fast. It’s now a country full of hope and optimism. Burma Mania: I just returned from Myanmar/Burma. Three weeks in August, off the radar. Here I am visiting a remote temple in Bagan. I seldom (never) publish images of myself. This shot is really about the remote Bagan temple. Just one of dozens I visited and explored with no-one in sight. Note: in these images there are no tourists, no coaches, no souvenir sellers. Divine. I ventured out into the remotest corners with a vintage Burmese pony carriage and driver/horseman, whose only English was ‘OK’ and ‘slowly, slowly’. Historic Burma (once a British colony, and now finally democratic in direction) is a magical and mysterious and complex and lovely country with bad publicity. I am not at all a political pundit (I leave that to the vociferous NGOs and experts), so for me this once-in-a-lifetime Burma voyage was about architecture, temples, art history, textiles, remote villages, style, pagodas. The enchantment: to meet Burmese/ Myanmar people and visit village schools as we headed up the river. 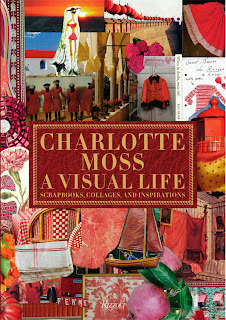 My favorite publishers have exceptionally marvelous new design books on their Fall 2012 lists. 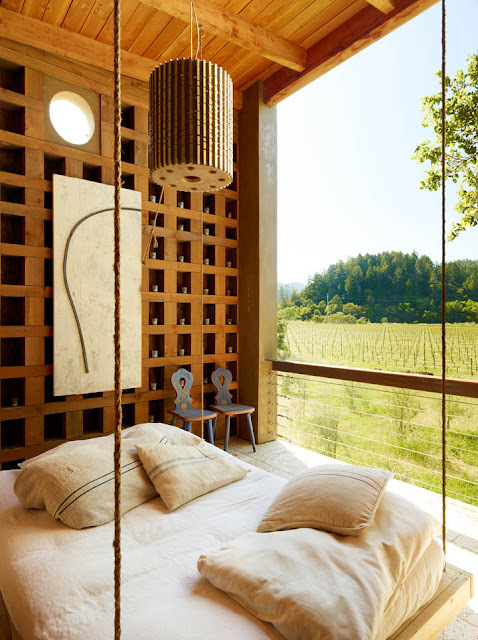 There are books on classical contemporary architecture (Andrew Skurman) and a new monograph by Kelly Wearstler, as well as Indian palaces (always a favorite of mine) and Paris and American classical interiors love Diane Keaton’s new book, House, with interiors by my favorite Howard Backen and Erin Martin, in the Napa Valley. I’ll give you the hot tips on books about Rio, classical interiors, and Barbara Barry, along with books on historic English country houses, and some surprises. Read on in the coming weeks. 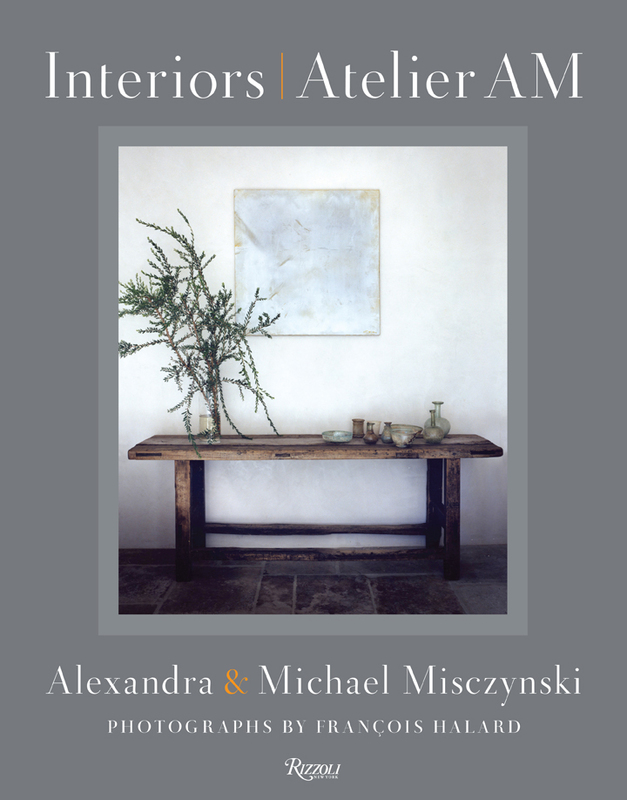 One great highlight: ‘Interiors Atelier AM’ with fabulous and rare interiors by an exceptional LA design duo that pay homage to Axel Vervoordt, in the most graceful way, with a light touch. Love this book. 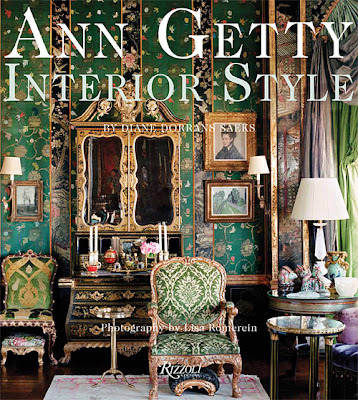 I worked on ANN GETTY INTERIOR STYLE for several years. It’s the first and only look at the Gettys’ private collections—for study and pleasure. 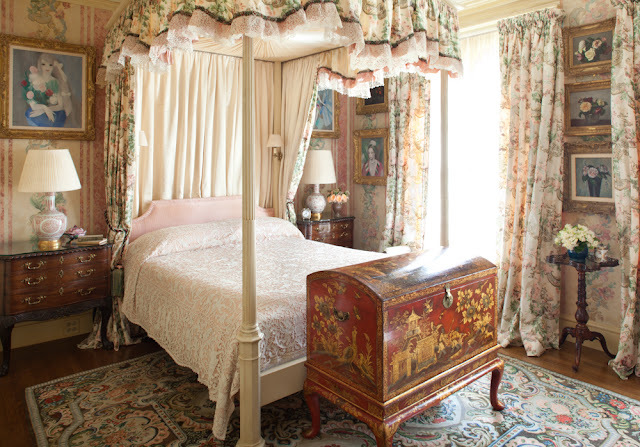 You’ll wander through the rooms of her residence in San Francisco, and encounter Matisse and Cassatt, and antiques formerly in the collections of Consuelo Vanderbilt and Daisy Fellowes, as well as paintings by Degas and Moreau. Delicious. 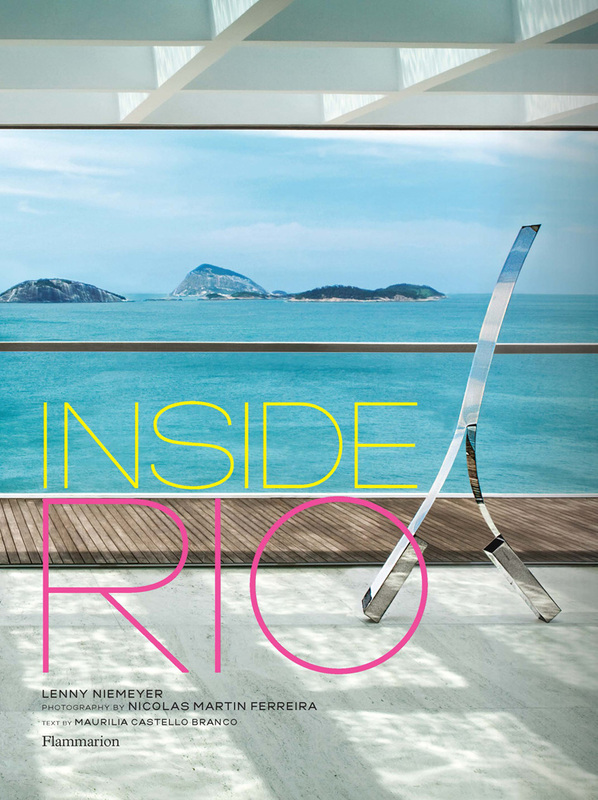 Private clients are here—with interiors that have never been published. My new lavishly illustrated book (Rizzoli) will be published in October and can be pre-ordered (your local bookshop can get it for you) or amazon.com. 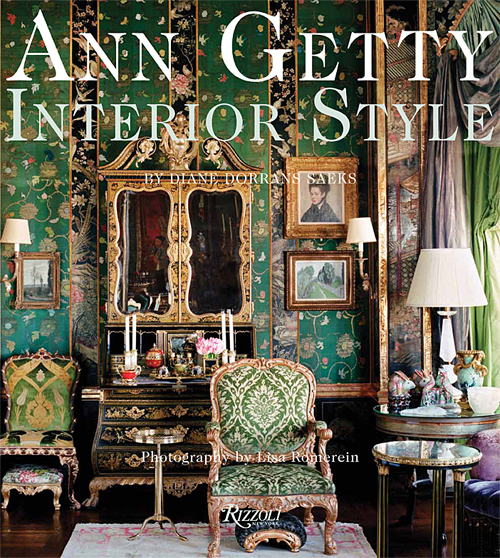 You will love seeing the Gettys' (Ann and Gordon) private art and antique collections—and seeing new interiors by Ann Getty, never published. Museum curators would love to get their hands on every piece here. Come for a private visit. 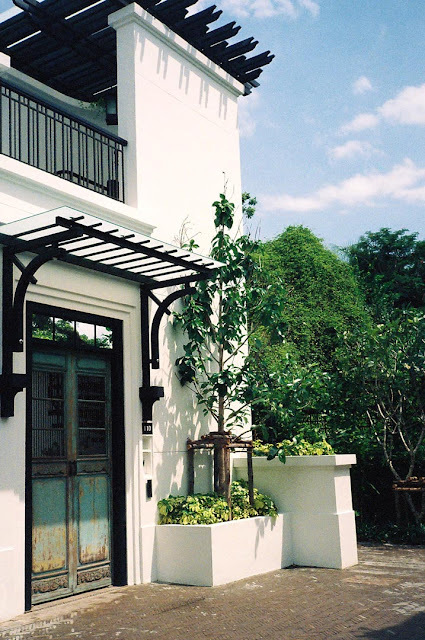 A discovery in Bangkok: THE SIAM hotel, just opened in June. It is one of the great hotels—privately owned and decorated with rare and private collections and archival books and furniture from all over Indochina and Thailand. 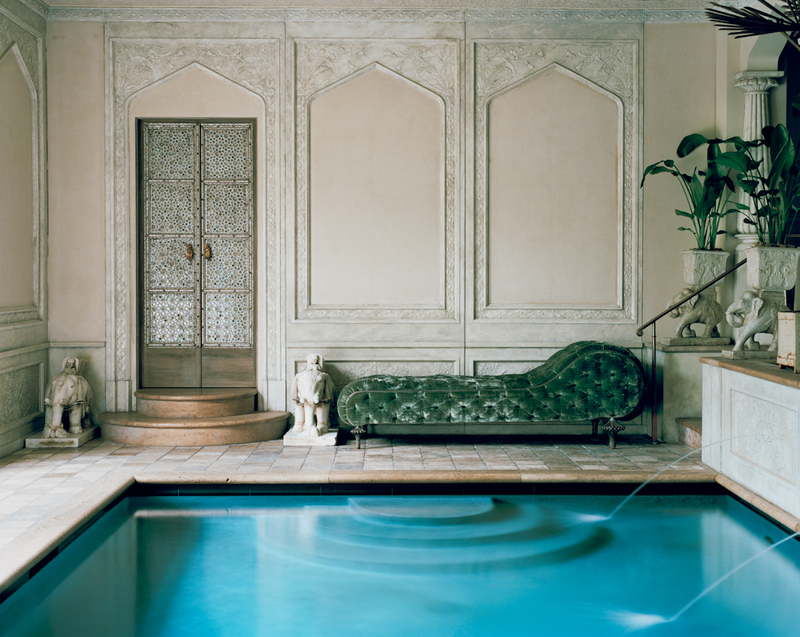 This is a very special hotel—utterly private and magical. The Siam hotel: On the way to Burma I stopped in Bangkok for a few days. This glorious hotel just opened in Bangkok, and it is definitely the new place to be! 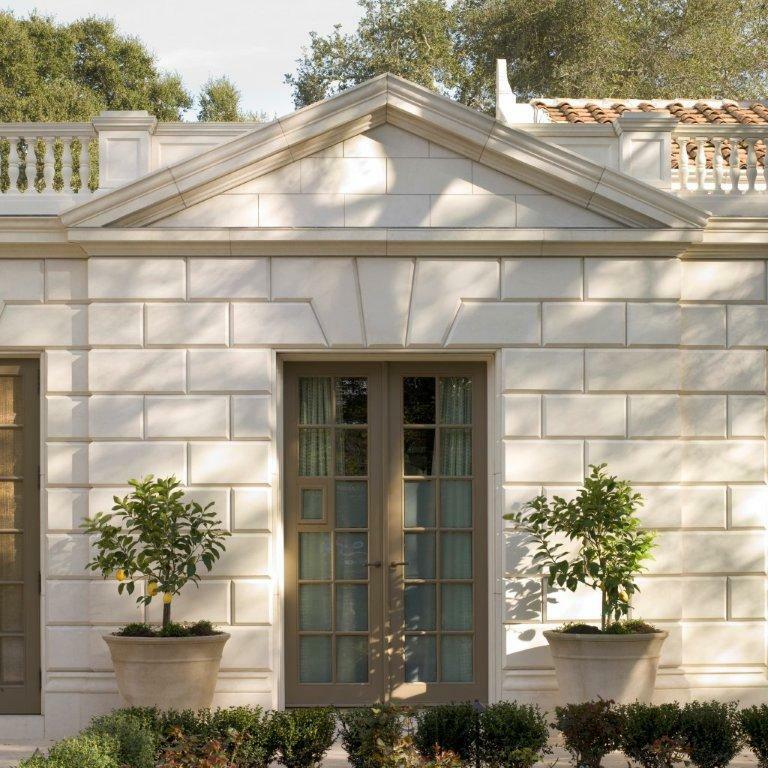 So chic, so original, so private, and I promise you will never want to leave. I’ll be writing about it in much more detail later—cooking class with Executive Chef, Blair Mathieson. This is the new hotel you MUST visit. Oh…and you could take kick boxing lessons from a Thai master. I was tempted. Should have done it. 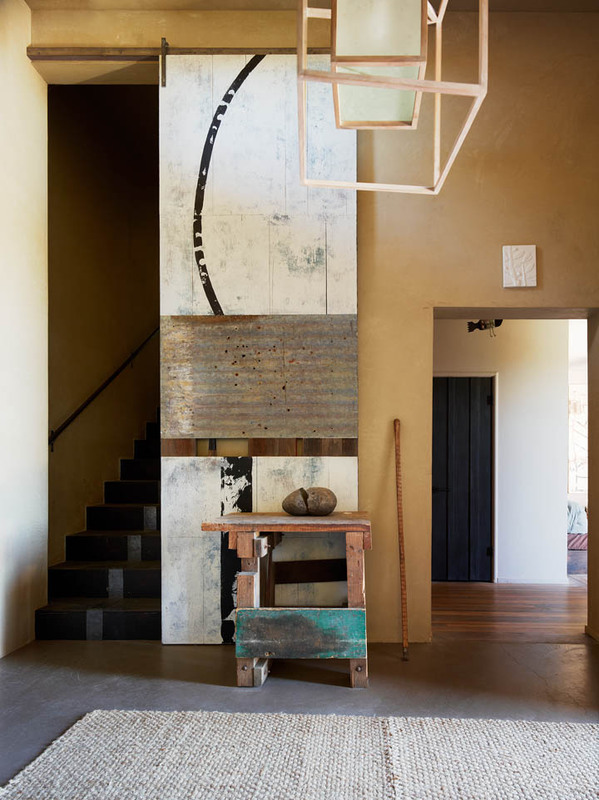 St. Helena designer/artist Daniel Hale has created a new and highly poetic house for his family on a hillside above the Napa Valley. It’s full of ideas, invention, and pure joy. 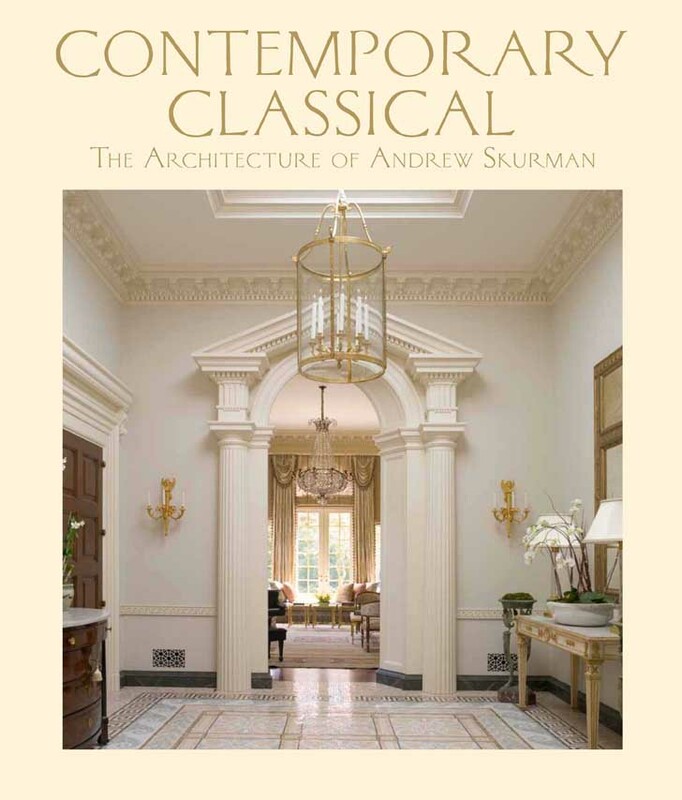 San Francisco architect Andrew Skurman’s new book is essential for the collections of architectural students, interior designers, potential clients, and everyone who wants to learn about classical architecture—the real thing. 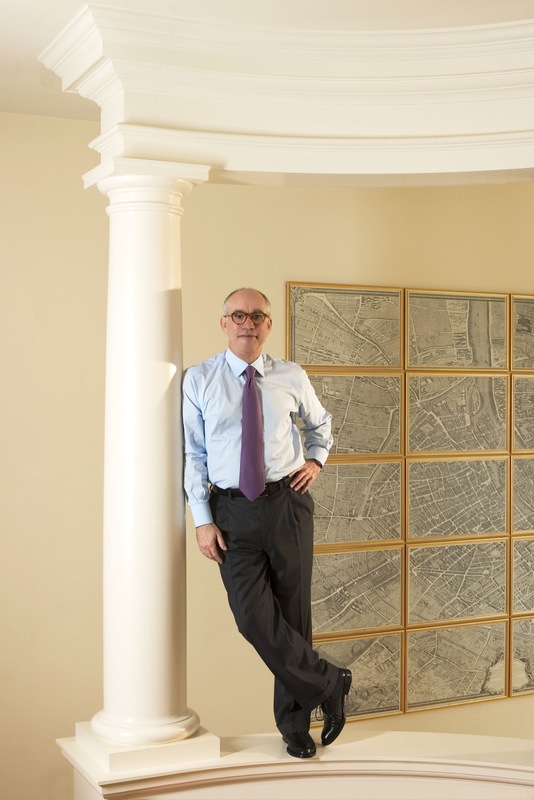 In the coming weeks you’ll meet Andy, and learn from his insights, wisdom and knowledge of French, English, Italian and American classical architecture. San Francisco architect Andrew Skurman’s wonderful book on his firm’s classical contemporary architecture (Princeton) is absolutely full of ideas, information, expertise and his exquisite taste. In the Mediterranean, Chasing Napoleon: Cruising the Italian coast, discovering the architecture of Corsican hill towns, and taking an elegant lunch at the Hotel Splendido in Portofino: these are the delights of a summer cruise on the new, wonderful and luxurious private yacht, Variety Voyager. You'll get a first look at this 60 passenger cruiser with a brilliant Greek captain and officers. 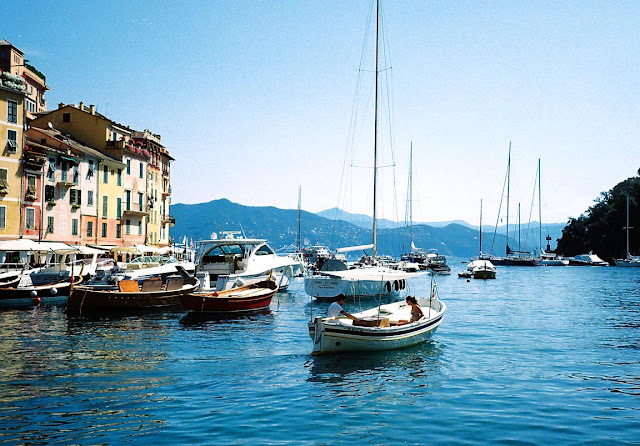 Below, my quick snapshots of Portofino in the early morning, a spectacular crab salad at the Splendido terrace, and a special visit to Napoleon’s house on Elba. This was a highly original cruise—and Corsica was a highlight. 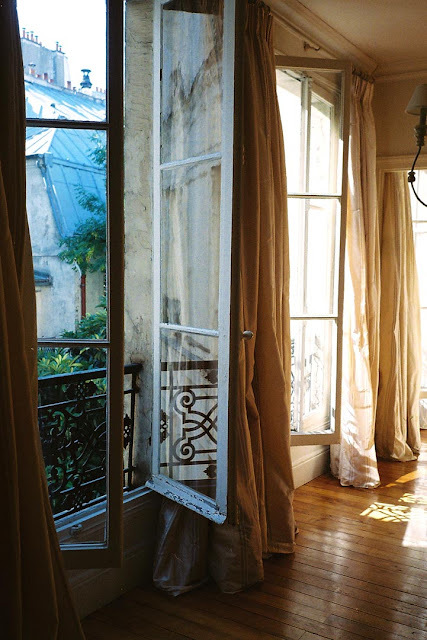 Paris Apartment: A preview of a romantic visit to stay a few days on the Left Bank. I know you love my Paris reports…so watch for these in the coming weeks. Follow me! This is just a taste of what I have for you in the coming months. 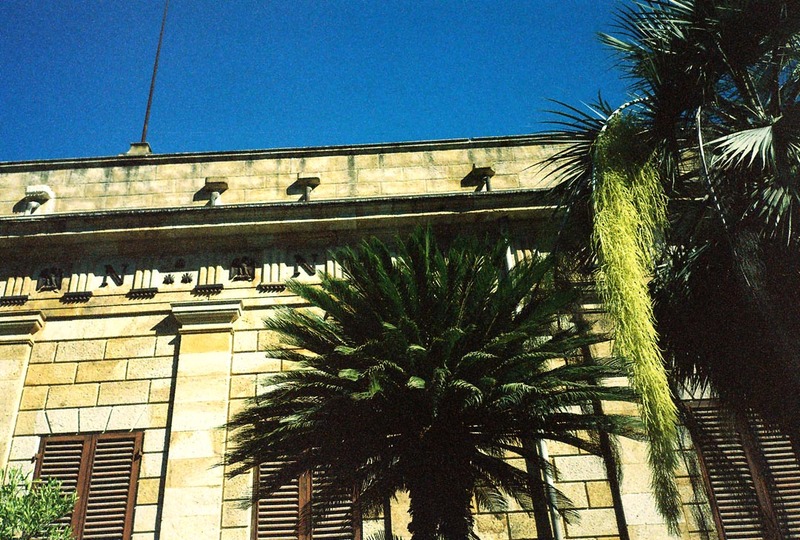 Rare, unique, exclusive and motivating ideas and places and people will appear on THE STYLE SALONISTE. You’ll be surprised and inspired. This is going to be a very exciting fall season on THE STYLE SALONISTE. Become a member, subscribe, and send me comments and thoughts. Looking forward to hearing from you. ALL IMAGES COPYRIGHT DIANE DORRANS SAEKS. No images may be copied or used without express written permission of the photographer. Quite a few years ago, i took my husband and children to Burma and to this day I long to return...our time on the river was precious and i managed to find a poor copy of Burmese days in the Yangon market, which I read during the cruise...( only 6 of us on the boat ..) For the past couple of years, i have spent more time in africa, having travelled through asia for ten years in a row, but i miss the aroma, the colors the life of Asia and soon will be back. 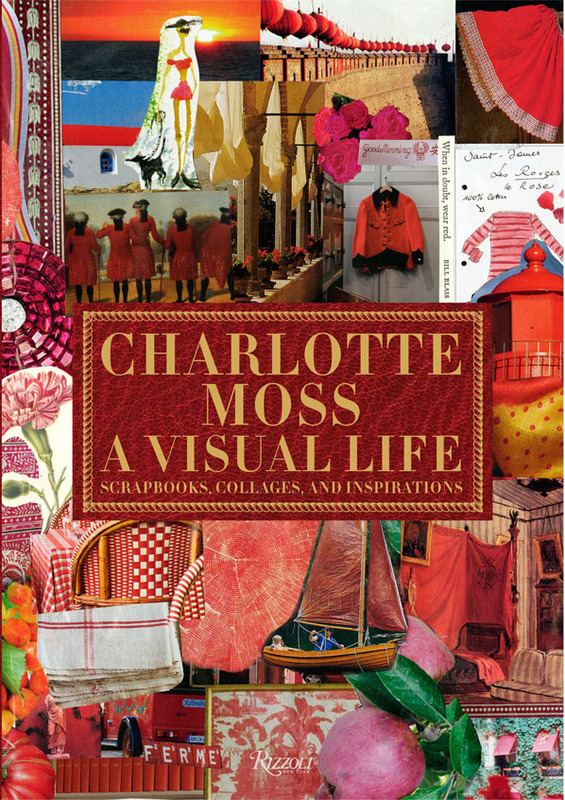 Looking forward to reading your Paris pages...am off to maisons et objets to morrow. 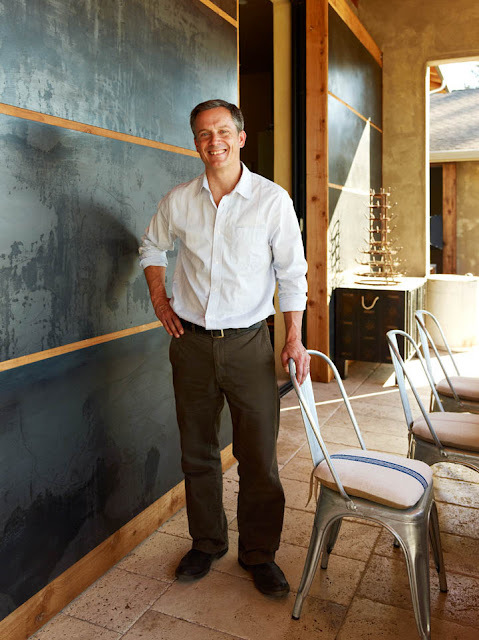 Diane, I can't wait, Particularly for the Getty book! Burma/Myanmar is the most romantic country--and who could imagine that, given the tragic recent history (which somewhat mirrors the sad recent decades in Laos and in Cambodia). I feel and hope that Burma Myanmar is now in a state of buoyancy and optimism and renewal...and that all of the forces working toward improving matters for all of the people in the union will continue and flourish. I set out for Burma with some concerns (would I feel safe, would there be onerous governance) but it proved to be light-hearted, utterly safe, and a free-spirited trip. I hope everyone will look into traveling there--on a study tour, to cruise on the Road to Mandalay, or to travel freely around, explore. WOW!!!! So much wonderful to take in . . . I know how passionate you are about design and architecture and interiors--and you will have a feast coming up on fall blog posts here. I'm delighted that you enjoyed this first taste of my Burma/Myanmar reports. Burma was once, historically, one of the richest countries in the region (that includes the fast-moving Thailand and the giant China, and recovering Laos and Cambodia (also with tragic recent histories) and India. Burma has been through tough times--and is now emerging. One commenter said recently 'we were never North Korea' although Burma was largely cut off from trade with the west, and travel there was not easy at all. For that reason--it is now a country to discover, with a rich history of arts and crafts and architecture, and the most lovely people. Buddhism is a very large part of daily life and the practice and beliefs and faith give a softness and sweetness and lovely human interaction to each day. I went to George Orwell territory...the town is full of mystery and is haunted by ghosts of British rule past and long ago. I have some special pictures...you will love. 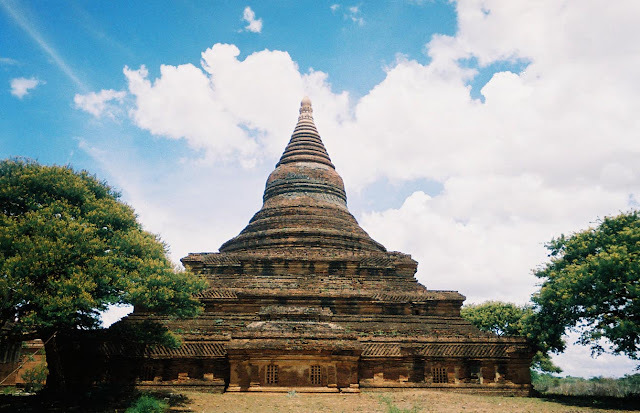 this post is filled with inspiration and upcoming delights -love reading about your discoveries in Burma, the carriage driver and the shot of you, the intrepid traveler, at Bagan. Magnificent temples, and more! The Anne Getty book, and I did not know abour Andrew's book! All very exciting. Good morning and thank you for your enthusiasm. Yes, lots of discoveries and thrills. Diane, thanks for the wonderful summary of all things Diane! I would LOVE to visit Burma one day. The Interiors Atelier and of course the Getty book will both be on my wish list. Glad you are well. You were one of my very first readers--and I am so happy to hear from you. Burma was blissful...more on that next week. Corsica--was a discovery...more on that to come. The shot of me at the Burmese temple is I think the first time I have posted a picture of myself on the blog...I keep a low profile. I liked the temple...and there I am. 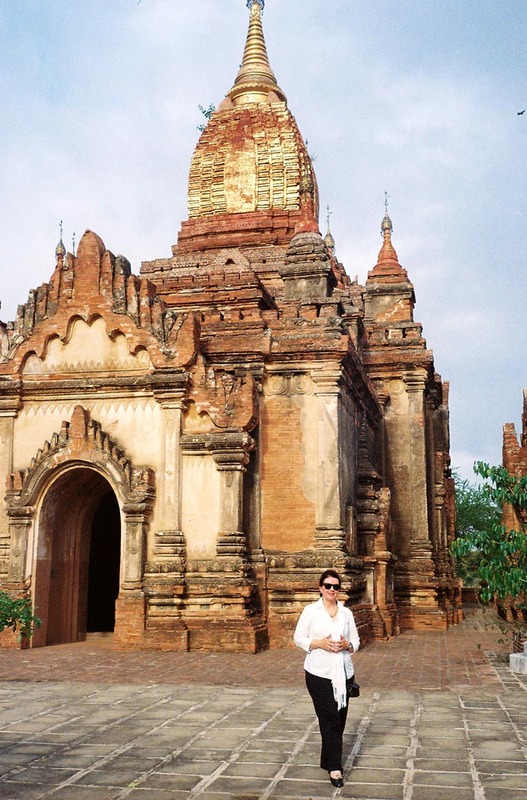 It gives a sense of my exhilaration of being in Burma and discovering a wonderful country. I always love to inspired my friends to explore the world with curiosity and amazement and to travel--across the bay, across town, around the corner, down the street, or across oceans and time. I was incredibly fortunate to visit Burma at this moment in the country's history--and you'll see more about my trip there in next week's new blog post. Join me, follow me...and as some friends do, come along in my footsteps. While all the books sound fantastic, I am most anxious to read the Skurman and Getty books.